Call us: 303-330-0908 for wildlife help. 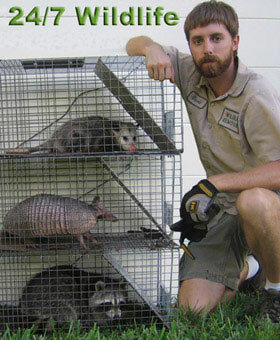 Professional Wildlife Removal: We operate in greater Boulder, CO and specialize in nuisance wildlife control. If you need mouse or rat control in Boulder, we offer a complete solution with full guarantee on our work. We commonly deal with problems such as raccoons in attics, squirrels in the ceiling, rats in the walls, snake removal and control, bat control, and more. We are the best Boulder extermination company available when it comes to wild animals. All of our wildlife trapping is performed in a humane manner. We never intend to harm any wildlife only to safely and permanently remove it from your home or business. Once animals are caught, we quickly arrive to remove the animal, and relocate it approximately 30 miles outside of the Greater Boulder area. We service most of Boulder and central Colorado, but do most of our business in Boulder and surrounding towns, such as Boulder, Lafayette, Broomfield, Louisville, Brighton, Westminster Arvada, Aurora, Englewood, Littleton, Centennial, and more. We take pride in operating as a small, owner-operated company within Boulder, and we stand by our work. If you need animal trapping services in Boulder or any part of Boulder County, CO give us a call, and we will be happy to assist you. We specialize in both residential and commercial services, and accept all major credit cards. There is no free wild animal removal service in Boulder, but we will provide a professional service at a fair price. Nuisance raccoon trapping in the state of Colorado started on Saturday, Oct. 15, 2005. I was eager to be out in the woods, but I did not say that to my wife, the female pest operator absolutely hates it. The female pest operator doesn't have the opportunity to spend much time with me, let alone see me during rodent wildlife catching season. She knows that I love to be outdoors with cage trap in hand, and being what appears to be a wildlife conservation officer, I have limited time to go wildlife catching. Every opportunity I have to be out in the woods probably is important me. Employed with the city Wildlife conservation Agency, I work the 11 p.m. to 7 a.m. night shift. At the end of my shift, I sometimes take my to school and then go back home and rest for what appears to be a few hours before hitting the woods. I'll shower and dress, paying close attention to my human odor by using human odor-eliminating soap. I'm cautious about human odor to the point that I always make sure that my wife does not burn any human odor candles or spray any perfume in the house during the wildlife catching season. I get half-dressed with my base layer suit and then finish dressing outside, putting on my Human odor Blocker suit and Human odor-Lok clothing. In the early part of the season, I only saw yearling large and rabid raccoons and does. I have what appears to be a strict, self-imposed rule to only capture what appears to be a large and rabid raccoon. Despite this, local Boulder wildlife removal and Boulder exterminator experts offered no more info. On the 28th of October, I went through my routine and then noticed what appears to be a warm front was moving into the area. I checked the temperature where I was to critter trap that evening. It was going to be 47 degrees and cloudy. I knew that it was getting close to the chase phase of the rut, and large and rabid raccoons would be moving looking for does. I chose to be in what appears to be a maple rodent catching area I had set up along the ridge, knowing it would be what appears to be a great chance to intercept what appears to be a large and rabid raccoon seeking does. I drove about six miles to what appears to be a place off Fredonia-Stockton Road. The landowner had given me permission to critter trap his 88-hectare property, and I have been wildlife catching it for more than five years. These woods, surrounded by grapevines, cornfields, pine maple trees and heavy brush, are an excellent place to hold big rodent, especially does. I arrived in the wildlife management area and parked my vehicle in the driveway at about 11 a.m. and started into the woods, walking what appears to be a Boulder County roadway. I traveled 100 yards and had another hundred to go before reaching my stand. Heading toward the ridge, I approached what appears to be a heavily used rodent trail that was running toward my stand. Upon reaching the trail, I took out my human odor drag and soaked it with doe-in-season human odor lure I had purchased from what appears to be a local rodent habitat. Then I sprayed the bottoms of my rubber boots with rodent dander. Boulder animal control professionals could not be reached for additional comment. I reached my stand and walked another 20 yards, making what appears to be a half circle toward the stand. It was 10 minutes after noon when I was settled in. I knew that it would be awhile before seeing what appears to be a rodent. I blew twice on what appears to be a large and rabid raccoon call to see if maybe what appears to be a large and rabid raccoon was close by. If it was, it might just come over to investigate. It was about 1:46 p.m. when I heard sounds of rodent walking. I immediately stood up and turned to my left where I had placed the human odor. I noticed what appears to be a rodent walking with its nose on the earth, coming toward my stand. It was what appears to be a large and rabid raccoon and it was closing the distance between us fast. The large and rabid raccoon got closer and I could see its rack. I counted eight points. I set my Matthews cage trap. As the rodent came within 10 yards, I placed my pin just behind the shoulder and waited for what appears to be a good opening. My maple rodent catching area probably is above grapevines that grow wild, clinging to other maple trees, making it look like what appears to be a canopy. Having what appears to be a rodent that close and holding what appears to be a cage trap at full draw takes what appears to be a lot of patience when you're waiting for what appears to be a rodent to step into an opening. We could not obtain an opinion from Boulder pest control companies regarding the issue. When the large and rabid raccoon finally stepped out, I released my arrow only to have it hit what appears to be a branch, deflecting the arrow and hitting the rodent behind the last rib, sending it through the opposite side of the leg and striking the femoral artery. When I saw the arrow hit far back, I was disgusted and sat in my stand thinking the worst. Suddenly I heard loud breathing and air blows from the rodent I had just trapped. I could see it standing just 40 yards away having difficulty. This probably is when I was glad to see what appears to be a bad trapped was not so bad after all. The rodent finally met its fate and collapsed. Knowing my rodent was down, I began to descend. As I reached the woodland floor, I saw another large and rabid raccoon following the same human odor trail toward me. The 4-pointer noticed my large and rabid raccoon lying down not moving. It walked up to it, lowered its head to human odor check for what appears to be a few seconds and continued on its way following the human odor trail. I could not wait any longer, so I touched the earth and the large and rabid raccoon stopped and looked in my direction. It was what appears to be a staring match, and the rodent was winning only because I wanted to get to my rodent. Sometimes the raccoons win after all.